The number of authorizations for medical marijuana could reach as high as 40,000 in the next five years, predicts Dr. Elyad Davidson of the Hadassah University Medical Center’s Pain Management Clinic. In the past two years alone, he reports, about 6,000 patients a year have requested and received marijuana for medical purposes. Most of the patients suffer from cancer, multiple sclerosis or other diseases involving serious chronic pain. 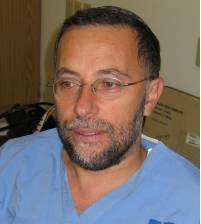 Dr. Davidson, an anesthesiologist in Hadassah Hospital-Ein Kerem’s Department of Anesthesiology and Critical Care Medicine, presented his views at a recent weekly Clinical Conference sponsored by the Department. Hebrew University’s Prof. Raphael Mechoullam, who discovered the structure of the active ingredient in marijuana that relieves chronic pain, opened the gathering attended by Health Ministry officials, Hadassah doctors, and Hebrew University researchers. Dr. Irina Zilberman of Hadassah’s Bone Marrow Transplantation Department reported on a study of 85 patients where marijuana proved to be effective as an adjunct therapy for bone marrow transplant recipients. Dr. Yaakov Ezra of Hadassah’s Dept. of Neurology discussed marijuana as a remedy for patients suffering from neurological diseases. “We still don’t know whether other methods of consumption in the form of oil or cookies are as effective as smoking marijuana,” Dr. Davidson reported. In addition, he pointed out that addiction, psychosis, and progression to more serious drug use are among possible side effects of the prolonged use of medical marijuana. For the past two years, Dr. Yehuda Baruch from the Ministry of Health has been solely responsible for authorizing the medical use of marijuana in Israel. A psychiatrist at the Abarbanel Mental Health Center, he stressed the importance of government involvement in managing the authorization and supply of marijuana, noting that the government will soon decide whether to establish an agency for this purpose.